Buell Cook – Tell my story. Buell Cook. Source: Tampa Tribune, 1909 via GenealogyBank.com. Meet Buell Cook: Lawyer, Insurance salesman, Realtor, Mayor, Statesman. Another man, like Emmett, who died too young, and whose death could have been avoided. 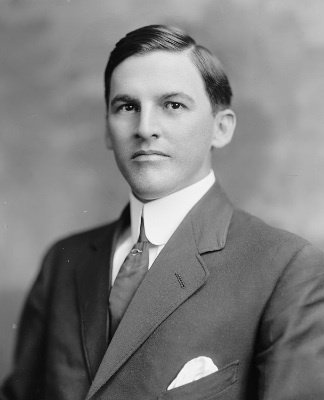 Buell was elected to represent the 25th district in the Florida State Senate in 1909. He was reported to be an excellent lawyer who chose principles over personalities in all of his affairs. He was born to a farming family of modest means in Holmes County, Florida, August, 1881. Orphaned in the late 1890s, he moved to Chipley, Florida at age 17 to make his own way. Somehow, Buell hooked up with prominent Chipley lawyer William O. Butler, who must have recognized that Buell was a dedicated, talented, and tenacious worker who had big goals and would stop at nothing to achieve them — so Butler took Buell under his wing. William O. Butler would play an important role in mentoring Buell. Butler was not only a good lawyer, but an excellent teacher: One of Butler’s other proteges was none other than Emmett’s brother, Cephas Love Wilson, who was considered one of the best attorneys and politicians in Florida. The 1900 U.S. Census enumerated Buell as a boarder with the Butler family, working as a ‘day laborer.’ Buell probably did work at any job he could in Chipley when he first arrived, but by 1900, Buell was most likely Butler’s law clerk, because on November 9, 1901, at age 20, he was admitted to the bar. On February 8, 1902, Buell was involved in a serious accident when he and a colleague were headed to Vernon on legal business. It wasn’t a matter of Buell driving the horse fast on purpose; the horse may have been spooked and started to run. Buell and McGeachy were injured, but it could have been much worse. Buell knew it was important to build his stature in the community, so, in 1903, he was named secretary and treasurer of the local volunteer fire department. Lawyer, insurance salesman, businessman, public servant, Mayor. Oh yeah, and State Senator, too. By the way, Buell achieved all of this before he was 30 years old. Reading about Buell’s accomplishments in such a short time frame makes me feel like a slacker. An EMF touring car for 1911; likely the kind Buell owned, as he would drive several friends around with him at a time. Source: The excellent EMFauto.org webpage. Buell Cook must have been doing well for himself because in 1911, he purchased an EMF automobile — an Everett-Metzger-Flanders — for at least $1,000. This was something only a wealthy person (like Buell’s buddy Cephas) could do. By the way, this equates to slightly more than $24,000 in 2017 dollars. Buell’s car arrived on February 23, 1911. Buell served in the Florida State Senate alongside Cephas Love Wilson. Also, Buell was a busy lawyer in the same circuit as Emmett and Cephas. It is safe to say that Buell would encounter the lawyerly brothers Wilson often in the courthouse, or when the legislature was in session at Tallahassee. Buell and Emmett also had many friends in common. In 1911, Buell was reportedly invited to a weekend house party in Panama given by J. Walter Kehoe & family when the Kehoes were playing matchmaker between Emmett and a stern young woman from Columbus, Georgia. The story was that Buell was one of Emmett’s friends (along with Emmett’s bestie Paul Carter, and Emmett’s brother Cephas) invited to vet the young woman for Emmett. It stands to reason that if Buell was one of the fellows invited to give this gal from Columbus the once-over for Emmett, that that Buell and Emmett were friends instead of acquaintances. Life was good for Buell Cook. He was well liked and respected, popular, and probably had his pick of the lovely young ladies of Washington County when the time came for him to settle down and marry. Buell Cook had a bright future ahead of him, no doubt about it. Everyone likely thought Buell Cook’s ultimate claim to fame in West Florida history would come via his legal career: For example, service as a state supreme court judge; perhaps as a governor; or, service in the U.S. Congress. Buell Cook would go down in history as the first automobile accident fatality in Washington County, Florida. Late Monday, February 5, 1912, Buell Cook and two other colleagues were headed home from legal business in Vernon. Note that this accident took place very near Buell’s previous serious accident on February 8, 1902; also note that in this accident Buell was reportedly driving at a high rate of speed, which most likely caused the accident. It turns out that Buell’s injuries were similar to the injuries sustained by Princess Diana’s fatal accident in 1997; i.e., severe trauma to the chest and a dislocated heart. Incredibly, according to interviews with his doctors, Buell survived about 24 hours with the injury. Doctors desperately wanted to move him to Pensacola, or to a city where there was a well equipped hospital, but Buell would likely have died anyway during the move. Buell died on February 8, 1912.